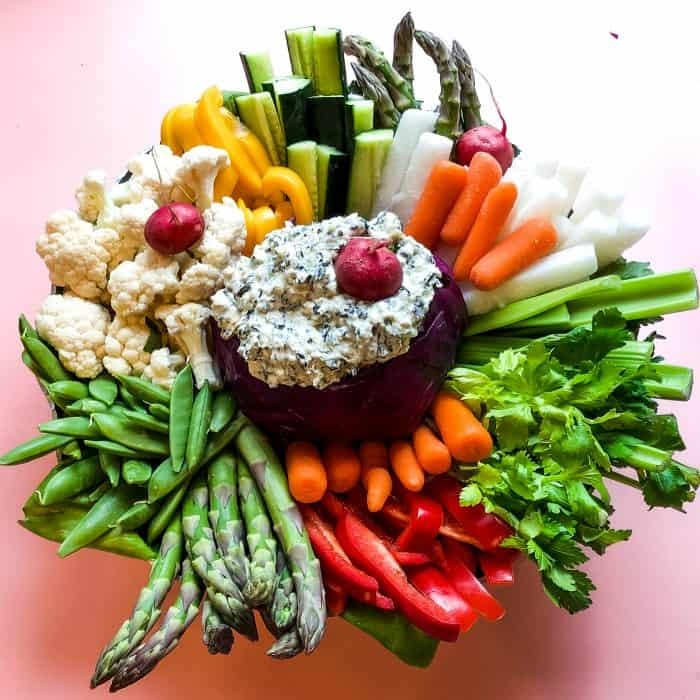 Looking for how to make a red cabbage bowl for a crudite dip? 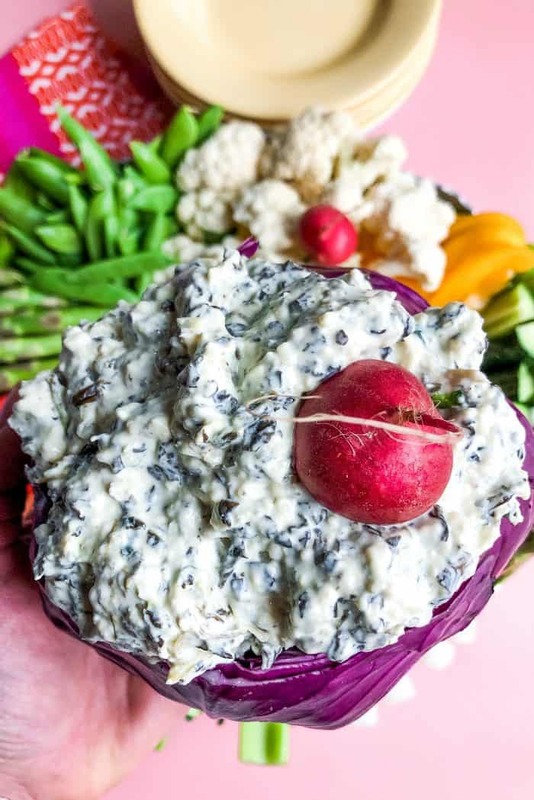 Start with this Spinach Dip Red Cabbage Bowl recipe, and add vibrant, spring vegetables! 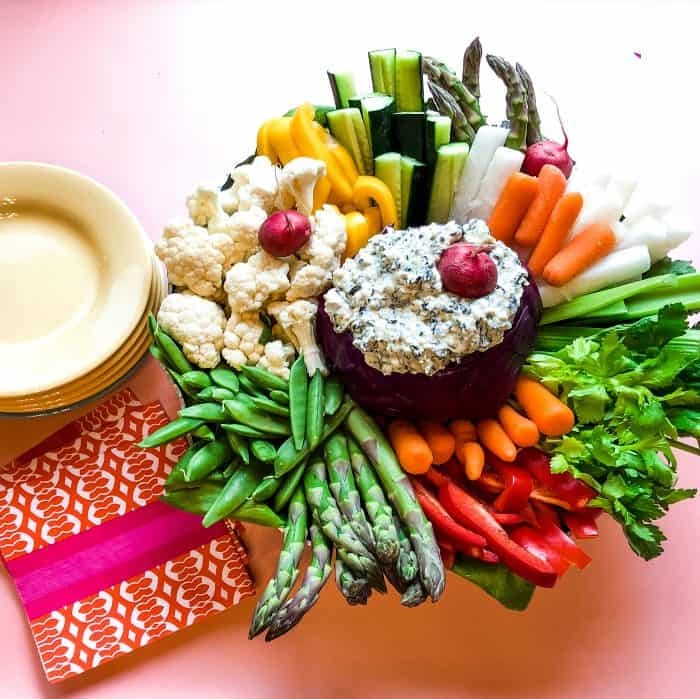 Friends, for an elegant presentation of a crudite, think Easter colors, spring vegetables, and a delicious way to serve a spinach dip. This Spinach Dip Red Cabbage Bowl is easy, and so pretty! 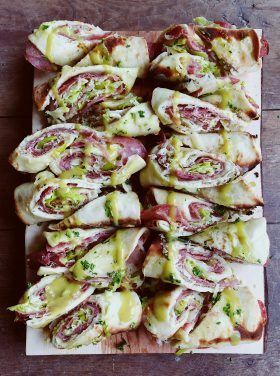 This presentation would be gorgeous as the “centerpiece” of this EPIC Spring Charcuterie Board or any of my charcuterie/cheese boards. How how cute are these cheese carrots and baby chick mini cheese balls? For me, spring is the perfect time to invite people into our home for a meal. 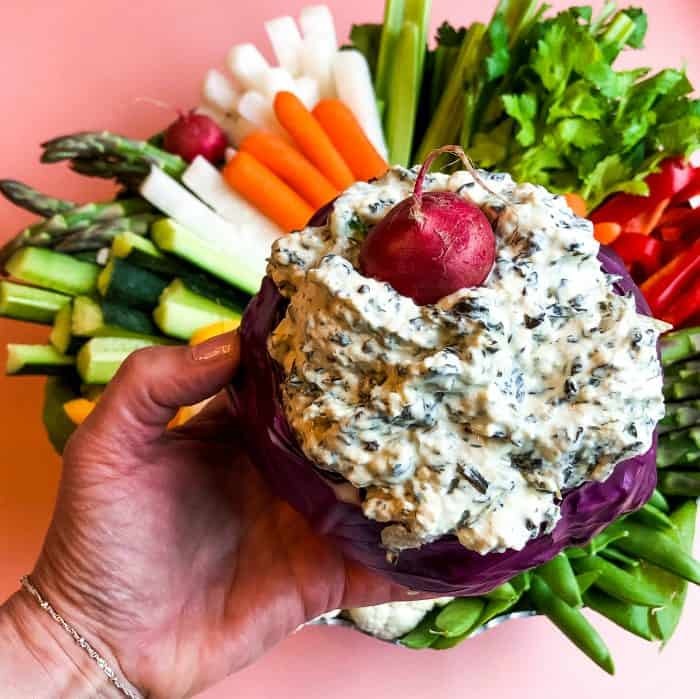 I love to set out a crudite or charcuterie board for appetizers, and today I’m sharing how to make a red cabbage bowl to hold a delicious dip. 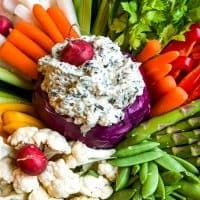 Make my spinach dip recipe below, but don’t forget there are other options. 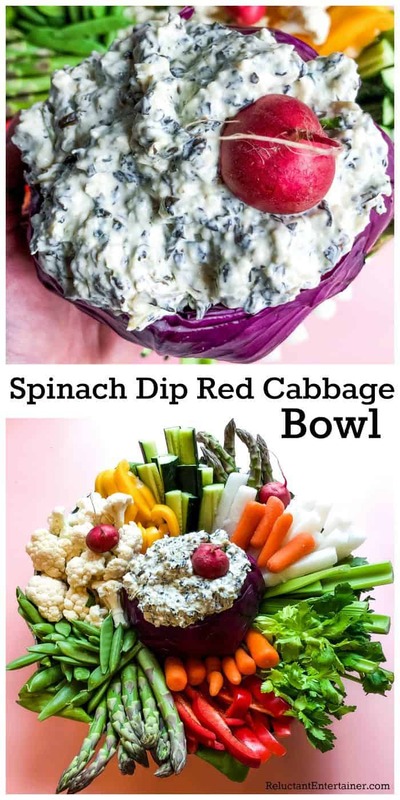 Try my spinach dip recipe below, or if you’re in a pinch, just buy a good quality spinach dip to fill the cabbage bowl. You can also try my Easy Triple Onion Dip Recipe or Smoked Salmon Dip Recipe (so good for Easter! ), if you’re not a “spinach” fan! Gently peel back the outer leaves of a small head of cabbage. 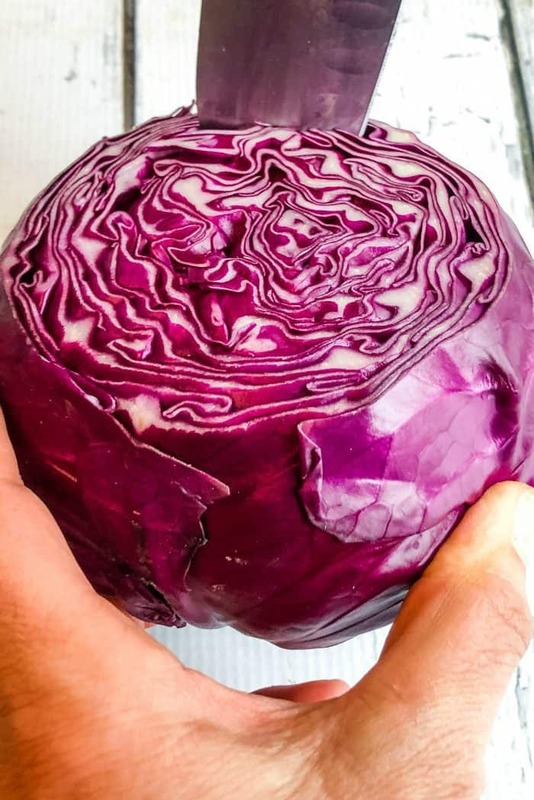 Slice a 1/2 inch from the bottom of the cabbage so it sits flat. Cut a 3-inch circle in the top of the cabbage; hollow out a third of the cabbage to form a bowl (save removed cabbage for another use). 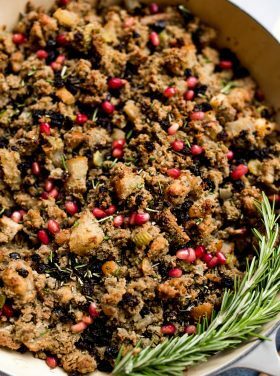 Do you ever wonder how to say the word “crudité”? 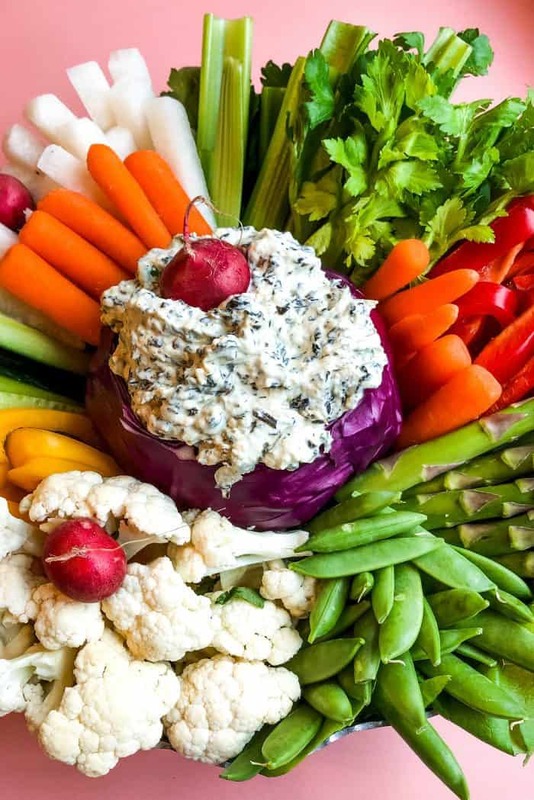 What exactly is a crudité? 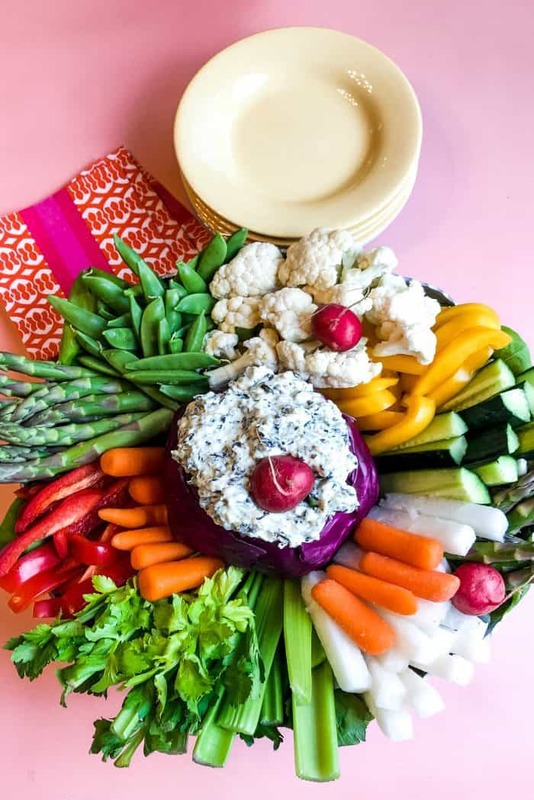 On this post, I’m also sharing 7 Tips for a Delicious Crudités Platter for your next party! 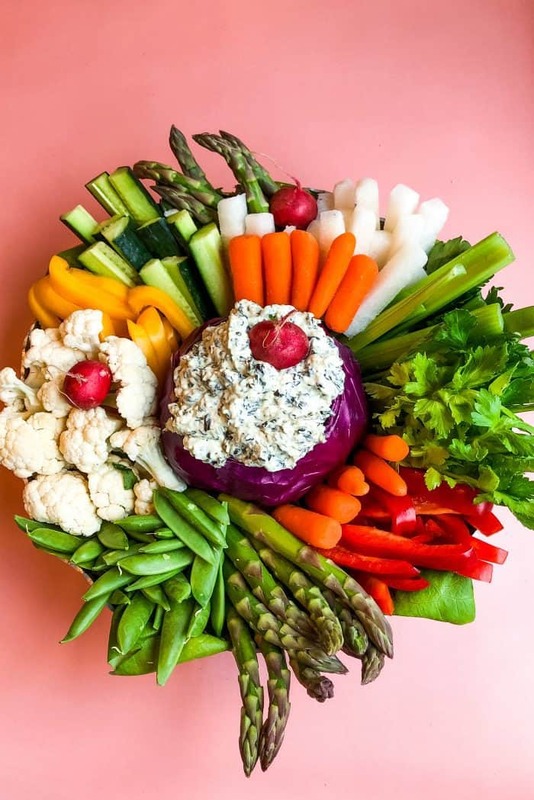 Crudités are raw vegetables which can be cut into small pieces, sticks, or thinly sliced. They are usually served with some sort of dip. I love serving a fresh platter for company, because not only is it healthy, there’s something for everyone! 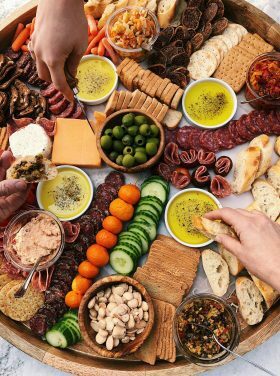 Arrange by different colors to make the platter as beautiful as you can! 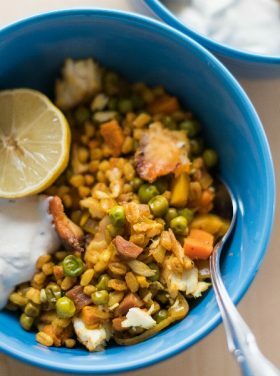 Such beautiful food makes my heart sing, and I hope it does yours as well! 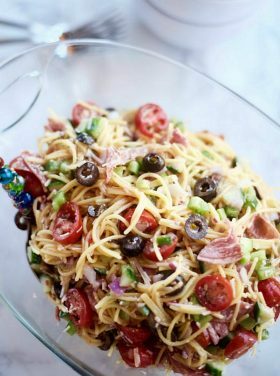 Looking for more easy recipes? 12 Quick Easy Appetizers, or Lime Guacamole Deviled Eggs. Peel back the outer leaves of cabbage. Slice 1/2 inch from bottom of cabbage so it sits flat. Next, cut a 3-in. circle in the top of the cabbage; hollow out a third of the cabbage to form a bowl. 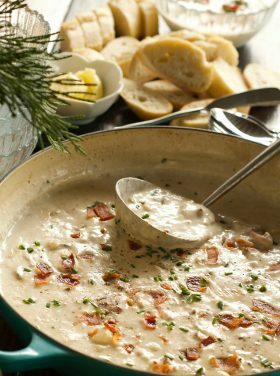 In a large bowl, combine the spinach, sour cream, mayonnaise, onions, parsley, lemon juice and dill weed, garlic, and Parmigiano cheese. Spoon into cabbage bowl just before serving. Serve on a platter with fresh vegetables. 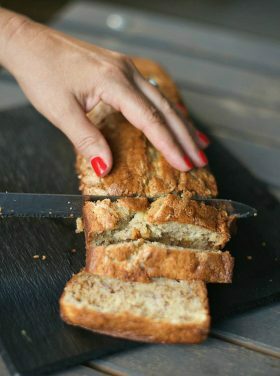 the recipes that you post are as delicious as the gorgeous pictures of them !